Mary’s Mountain FREE on Kindle June 27- July 1. Mary’s Mountain, my novelette, is FREE on Kindle June 27 thru July 1. It’s a short read, so I hope you’ll take me up on my offer, and I would very much appreciate a review on Amazon or Barnes & Noble! Mary’s Mountain is a story about Tolerance taken to the extreme. It is Paul Dunaway’s struggle to re-shape his affluent but joyless life, while the opposing forces in the out-of-control, politically correct America he helped to create, now threaten to take him down. Mary’s Mountain is somewhat futuristic, but not entirely. Already our history is being revised, and we accept it. Already Truth is being debunked, and we swallow it–especially if what is replacing Truth agrees with our personal opinions, or tickles our indulgences. This is dangerous. Already our religious faith is being challenged. Already our right to hear the truth on television and social media is being meddled with. Already, our country’s enemies are at our throat, and yes, crossing our border. And some of them actually mean us great harm. We once considered wrong as an action against the commandment of God. Now many of those wrongs have been propagandized to seem right. And worse, we’d better put up with it, or else be called bigots, or racists, or religious zealots. In other words, we are being asked to tolerate the intolerable. The question in Mary’s Mountain, is whether Paul Dunaway will continue to indulge in his so-called broad-mindedness, or return to his honest convictions, enough to become a white-knight for America. Kaye Hinckley’s novella “Mary’s Mountain” was so captivating that I read it in one sitting without putting the book down once. It has apocalyptic flavors, much like the “1982” or “Brave New World” or “Animal Farm” type stories from decades prior. But the novelty of Hinckley’s tale is refreshing, because she portrays a society that embraces liberalism in such a way that traditionalists are ostracized and even banned. She foretells what our nation could look like politically, socially, and morally in a frighteningly and chillingly realistic portrayal of how technology plays into the degradation of an entire generation. But the hope lies in Mary’s Mountain, Mary of course being the Mother of God. Mary’s presence is visible and constant on this mountain, which offers light to believers who have not forsaken their faith, despite persecution and threat of punishment. Some are visionaries, while others simply stay close to the mountain, pay her homage or retreat there as pilgrims in order to find refreshment and spiritual rejuvenation from their daily plight. “Mary’s Mountain” follows the conversion of everyman through the character of Paul Dunaway, who is born into the Faith but loses it shamelessly through the enticements of the world: money, lust, power. Then he eventually finds his way back to God through Mary’s Mountain, his former home. Hinckley is a fantastic writer who uses vivid imagery through the written word for character and plot development. I was duly impressed with the power of this story in such a short novella. Brilliantly done! I hope you’ll read Mary’s Mountain while it’s FREE this week, and let me know what you think. June has been thought of as the month of marriages. So before this month passes, I’d like to pay tribute to marriages that last. Here are some excellent thoughts by some admirable people about marriages that last, not because of the bubbly idea of love but because of solid commitment–that promise we make to each other. It takes a lot of courage to keep our faith in a world such as ours. In the recent past, we’ve seen leaders whose ethics we would like to have respected, but instead they became so disreputable that we now fear for our country. So, we looked to a stronger leader, elected by a strong majority. A leader who is unafraid to uphold the Truths we ought to be living by, and that our nation was founded upon. And yet, day by day, we hear bigger and bigger lies from those who cannot abide his success. And we feel the pinch of that. There is an attempt to fool us—and we’ve been too involved in ourselves to notice. We have not turned over the tables in the temple. We have not warned the cheaters. We have not called for Truth loud enough to be heard. And it is my belief that if we do not raise our voices, one day, we will regret it terribly. Let’s wake up, before we can’t wake up at all. Let’s look into ourselves—-unselfishly look–to find even the smallest ways to assist our culture and our country, founded on principles of Faith which we haven’t seen in a long while, until now. Let’s bring them back. Let’s eliminate the utilization of many people only to keep them victims, as opposed to lifting them to their rightful high place as good and dignified human beings, brothers and sisters, created by God. Let’s secure respect for Life itself, from its beginning to its end. Day by day, our world has become wilder, and less virtuous. Day by day, we are drowning, all the while hanging on to what we’re ‘told’ by some less-than-honest media. ‘Told’ what it is they need to survive. ‘Told’ not by our own heart and soul, but by those people who have only their imprudent interests in mind. ‘Told’ by those who would use us for their own purposes, until the beautiful core values of America become like pieces of chewed-up gum stuck to the dirtied soles of avaricious power-worshippers. Oh yes. We left principle behind. We left Faith and values behind. It’s a wild world now. Does anyone doubt that we need to change it? Thank God, we still have a choice to do just that. All it takes is a love for country, a love for those who will come after us, a fearless voice–AND GOOD COMMON SENSE. Penn/Bellwether Prize. Do I Have a Chance??? The manuscript of my newest and unpublished novel, ABSENCE, has been submitted for the Penn/Bellwether Prize, an award begun by best-selling author, Barbara Kingsolver, “The Poisonwood Bible.” The $25,000 prize is awarded biennially to the author of a previously unpublished novel of high literary caliber that exemplifies the prize’s founding principles. The winner also receives a publishing contract with Algonquin Books. Will my work qualify? I hope so. In my opinion, we cannot even consider human justice unless we first treasure the nature of a human being, that part which is immaterial and, I believe, comes from God. The natural law is a deep sense of the moral good, that all persons, irrespective of ethnic origin, gender, possessions, race, religion, etc., are to be treated equally and without prejudice. It follows then that we should never use people as a mere means to our own ends as happens in my novel, ABSENCE, which may be my favorite of all the novels I’ve written because it is based on my belief in the divine value of a human being. 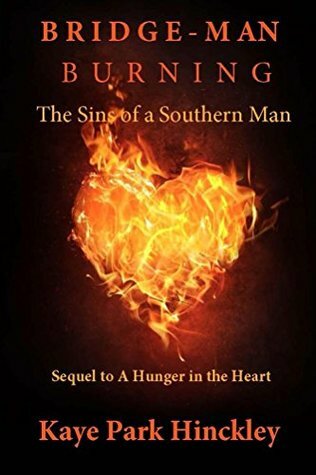 Throw out any preconception you may have of a novel about a southern, peanut farmer. Absence is a mystery, in the deepest sense of the word, about marriage, about fathers and sons, husbands and wives, and brothers and sisters; all backed into corners and at odds with each other as they struggle with their human nature, and the nature of the world. The story centers around James Greene and one life-changing decision he makes. James’s family has farmed near the Chattahoochee River for three generations. He is a Vietnam veteran, seen by his wife, Katy, as strong as steel. His son, William, sees his father as a good man, almost a king; but James sees himself as a man who will stoop as low as he has to, to get what he wants. And he does just that—with destructive repercussions that alienate his entire family. And yet, even here, love can be found, along with its mystery. 1) The inevitable distance between human nature, which is possible to control, and the nature of the world which is impossible to control. i.e. moral evil vs. natural evil–and yet, humanity must deal with both. 2) The mystery of human nature’s innate ability to choose that which can be curative, or destructive. I would like my work to be taken seriously by today’s literary establishment, but I think that establishment is afraid of showing the depth of religious themes in fiction. And yet, according to the latest Gallup Poll, 89 % of Americans say they believe in God. Christianity is the world’s largest religion with over 2.4 billion followers, or 33% of the global population. Still, this is a largely ignored readership when it comes to realistic fiction with an underpinning of faith. One has only to consider works by Fyodor Dostoyevsky, Walker Percy, Flannery O’Connor, and countless others, to see its value. The literary establishment’s fear might be their feeling that dogma constrains the artist; but for me as a fiction writer, dogma is a guarantee of mystery, and as Walker Percy said, “a warrant to explore the mystery.” Take for example, Christianity’s benchmark, LOVE. Who can understand its joys and sufferings without faith? Back-stabbing has become very popular in politics: Attack the competition without mercy. Ruin his or her reputation. Take them down at all cost, because my side is more important. The news is full of this sort of immature backyard brawling. So easy to do with social media because ‘anything goes’ and anyone can give an opinion, whether correct or not. But it’s not just in politics that back-stabbers work. Have you ever attacked the character or reputation of a person who is not present in a conversation? On occasion, many of us have without realizing the enormous damage it can do. And some people use back-stabbing very intentionally by throwing out information that is meant to put an un-present person in a bad light. This is done to damage that person, by playing the person he/she is talking to against the person not there and unable to defend himself. These are people who–especially if they’ve been ignored–will play a so-called friend against another so-called friend in order to beef themselves up or to carve a place for themselves. People who do this are dangerous. People who do this should be avoided, or at least seen as disingenuous and not truth-tellers. To listen to people such as this, to give them any slack or credence, can be very detrimental to anyone involved in the conversation. Because this is gossip at its worst, when words are used as weapons. These word-weapons may be complete lies, or half-truths. Of course, any lie is sinful, but even if what is said about another person is true, but there is no real need to make the disclosure, then this harms the person’s good name. And that is slander if done maliciously. We need to watch our words and our intentions in speaking them, both in face to face conversation and in social media. Words can indeed be weapons with disastrous effects for both the speaker and the receiver. After all, who wants to be around a back-stabber? WIND Cover with Independent Press Award!! Only 5 spots left out of 100. LAST DAY for BRIDGE-MAN BURNING Goodreads Giveaway! Giveaway ends June 05, 2018. THE FAMILY: DROWNING IN TROUBLED WATERS??? Water covers an enormous portion of our planet, and is needed for all life, human and otherwise. Without the presence of water, there would be no life at all. Water is our lifeline. But there are times when it presents trouble for us: hurricanes, floods, accidental drownings. A lot can be lost in these situations, and that loss affects us very personally, even to our core. Families are also a mainstay of our planet, the core of human life, the domestic church. But the family is in troubled waters today. The family has been hit by the hurricane of misguided thinking, flooded with misinformation. And there are too many drownings because of it. There are forces who hate what is right. There are forces who want to destroy the God-created family: Mother, Father, Children. There are forces who would dishonor the virtuous love meant to bind them all together, and replace it with a less than virtuous copy: a falsity of marriage, family, and even gender. And some of those forces rise high up in our government, and in our churches, as well. How is this being accomplished? That men and women are no different—that a person can even choose which to be. That a baby in the family does not need to be welcomed, and can even be destroyed. That boys and men are solely responsible for all that is wrong with girls and women. That people can no longer judge what is right and what is wrong—even using the standards of God’s own laws. A bastardized meaning of LOVE will be used instead. The family, the mainstay of our planet, is being snapped like trees in a hurricane. Family members are swallowing, and then, drowning in the contaminated flood water, without admitting there is a storm. Or if we do admit it, we lack the courage to speak out. We don’t speak out with courage because we want to be broad-minded; we don’t want to be labeled–you know: Love vs. Hate, and all that. We have swallowed the propaganda as truth. Well, it is NOT truth. And we must cross the bridge of courage and say so, or drown as the people of God. Broadmindedness, when it means indifference to right and wrong, eventually ends in a hatred of what is right.–Bishop Fulton J. Sheen. We must put ourselves in the presence of God and pray for courage. Then we must put ourselves out there, and lay ourselves down in defense of Truth.